These soft gorgeous snicker doodles are mouth wateringly delicious and so extremely easy to make. These chewy beautiful cookie’s are stuffed with devious, nutty snickers. Too delicious for words….. 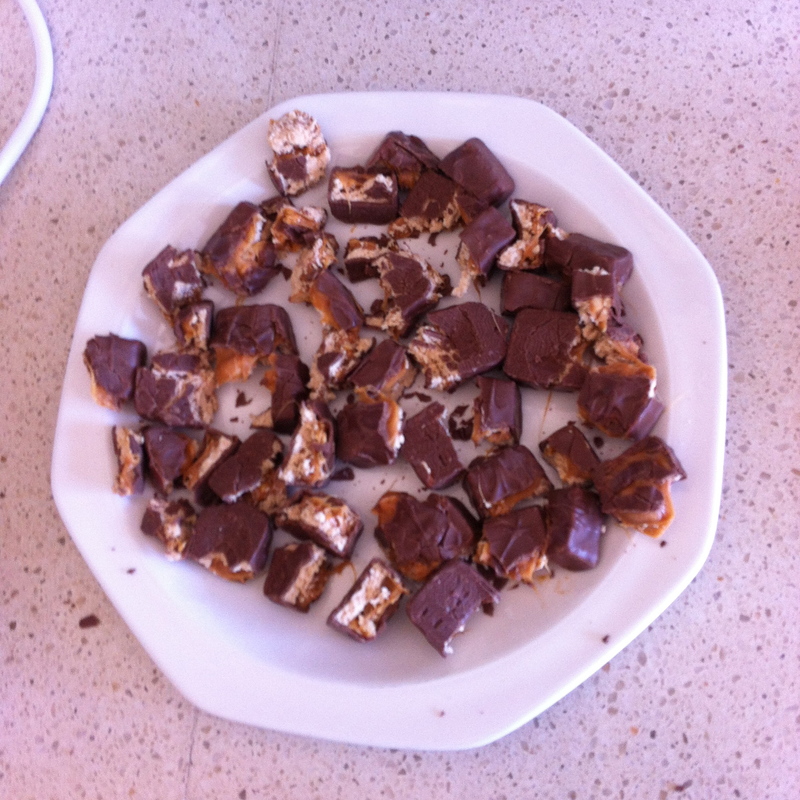 So to begin making these’s devils you first chop up the snickers and then put them into the freezer. Putting them in the freezer will really give the will really keep the snickers nice and firm for when they go in the oven. Keep them in the freezer while you begin creating the dough. First preheat the over to 180 degrees (fan forced) And line two trays with baking paper and set aside. Next thing to do is to make the yummolicious topping. Just toss 1/4 cup sugar and 1 teaspoon of cinnamon and then set that aside as well. In a large bowl using a hand held mixer or a mixmaster cream the softened butter for about one minute on medium speed. Get it nice and smooth, then add sugar on medium speed until its fluffy and light in colour.Then add the egg whites and egg yolk. You might need to scrape down the edgers when you see fit! Then set the mixture aside. In another medium bowl whisk together the flour, cream of tartar, baking soda, cinnamon and salt. With the mixer on low speed slowly add the dry ingredients to the wet . If you want you can do it in increments of 3. By now the dough will probably be quite thick so you might have to mix the rest by hand. 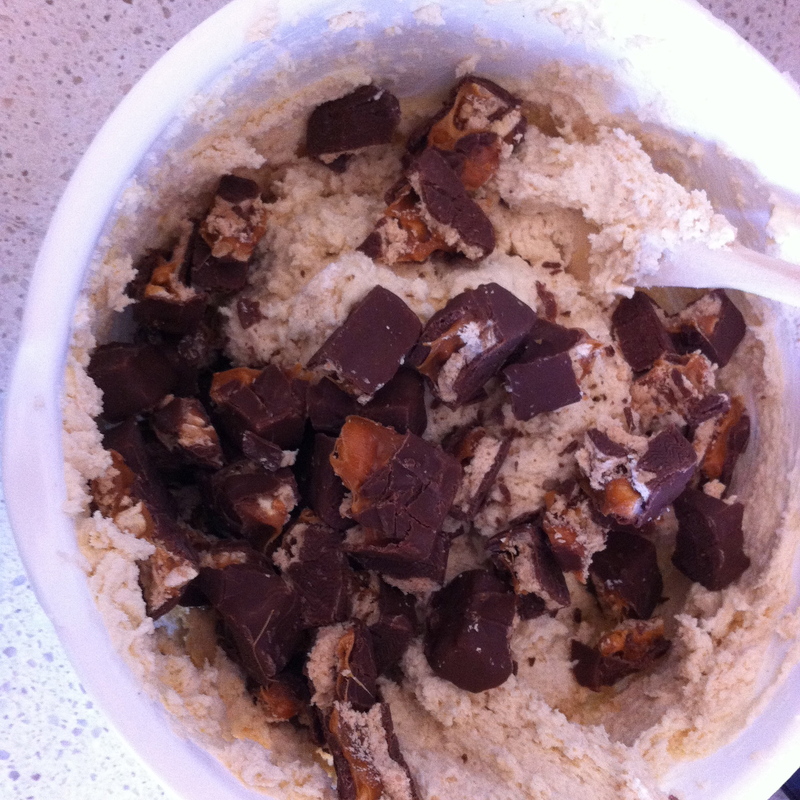 Now its time to take the snickers out the freezer and fold them in the mixture. Eat a few if you would like but don’t tell anyone your naughty little secret. Time to roll the balls, take 1.5- 2 table spoons of dough and roll it into balls. And roll them into the cinnamon and sugar topping you put aside. Sprinkle extra cinnamon and sugar if you would like. Yay! Bake the cookies for 11-12 minutes.The cookies will be very puffy and warm when they come out, so if you would like you can push down on them with the your two fingers. 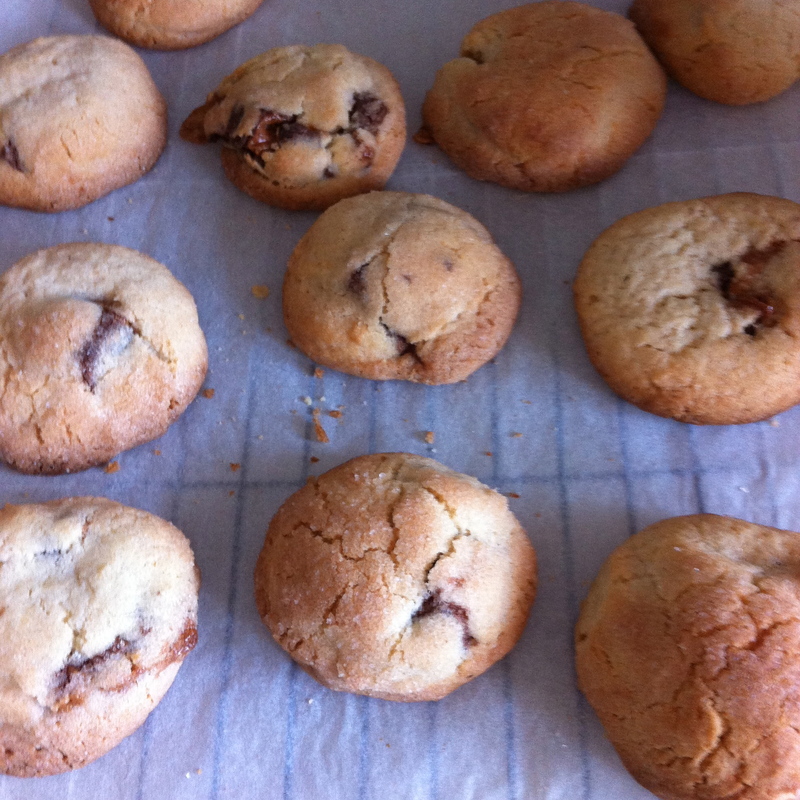 Allow the mouth watering cookies to cool for 10 minutes. And they can be in the fridge for up to a week and freeze very well. With these cookies in your hands life is just so much better!